I did not have much chance to post anything while I was away this trip, probably because I was having too much fun seeing sights I didn’t see the last time. 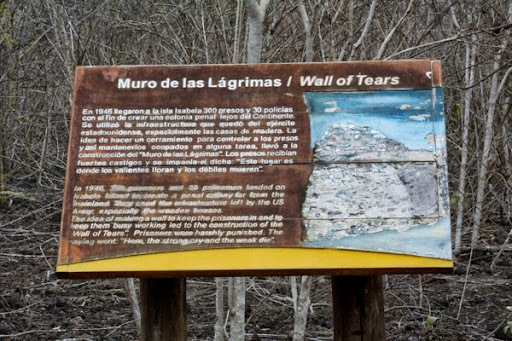 However, as I am on the long trip back home, I thought I’d post tears for departing Galapagos. This was a site on Isabela island. 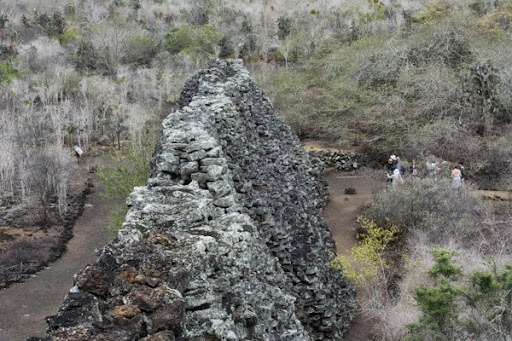 Earlier in the 20th century, the ecuadorians used to have a penal colony on Isabela island where they had prisoners build and rebuild a pointless wall of stones. I can’t imagine the frustration and agony they went through carrying and laying stone after stone in the heat of the tropical sun.